As part of Dun Laoghaire Rathdown Local Enterprise Week, I spent part of yesterday listening to a talk given by clinical psychologist Dr. Maureen Gaffney entitled "Managing Change, Resilience and Being at your Best". She spoke about the importance of emotional intelligence (as virtually everything we do relies on our emotions), the power of a positive attitude & a smile and the significance of first impressions. the ability to stay connected to the big picture as well as staying focused on immediate tasks; and knowing when to switch between the two! She spoke for about 90 mins and I could have listened to her all day; totally inspiring! I've already ordered her book "Flourishing" and another one that she recommended by Daniel Kahnman, "Thinking Fast and Slow". Hopefully I'll be just as inspired when reading them! Anyone else read either of them? Loved working on this recently for a customer who popped a plate in the post to me (similar to this one) along with a note asking if I could make some jewellery from it ♥ The plate had belonged to her grandmother and she was hoping to have a bracelet and necklace created from it. 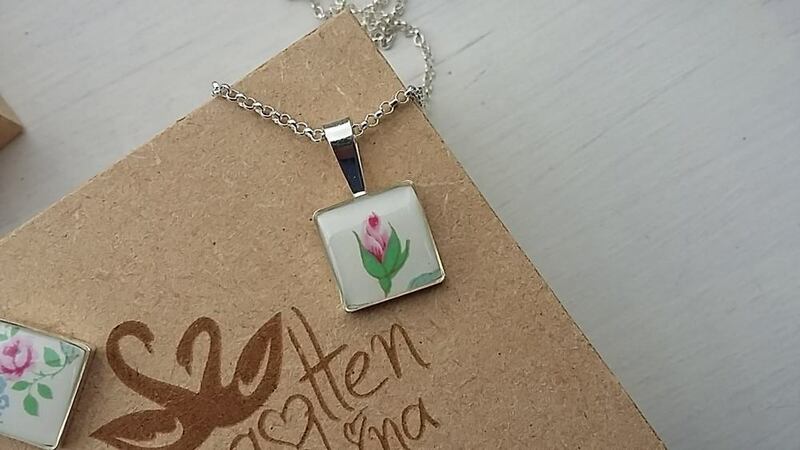 Turning old china pieces into beautiful vintage jewellery! 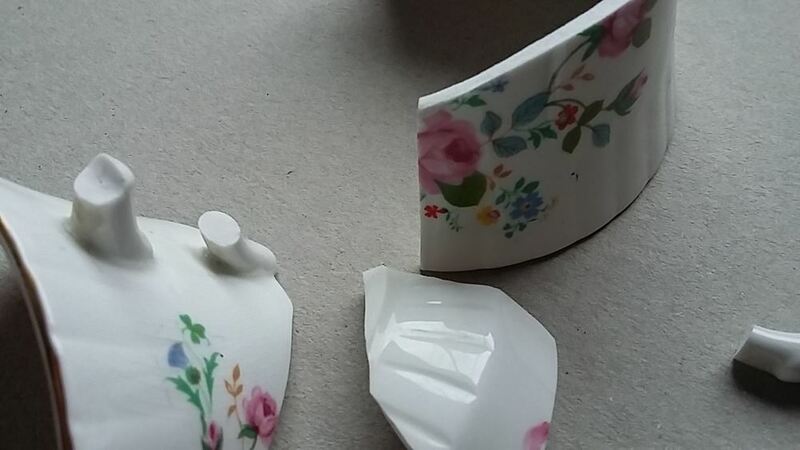 Customers are often contacting Forgotten China to ask whether or not we can turn old china into cake stands, candles or jewellery....and the answer is, yes we can! 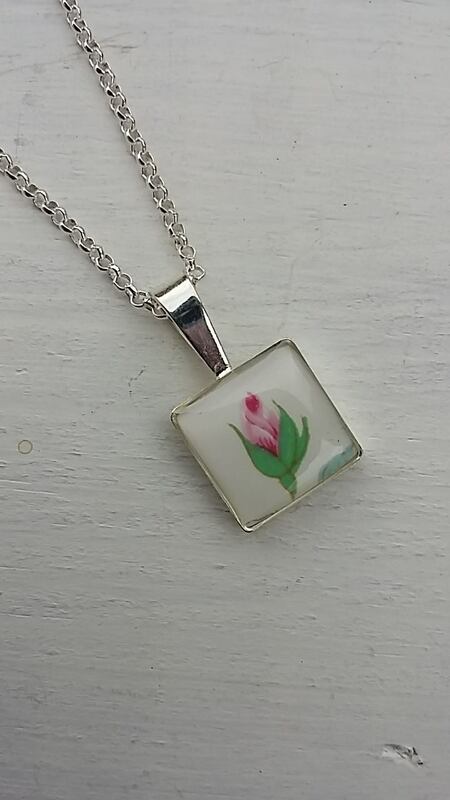 Everything that you see on the Forgotten China website can be created from your own china which makes the finished pieces so special and sentimental. One of the commissions that I worked on during the summer was for a new customer. 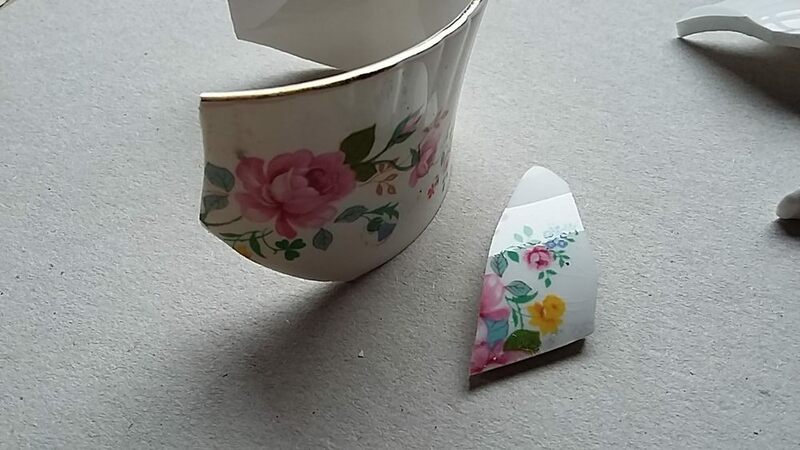 She contacted me asking if I could make some jewellery pieces from one of her mother's broken teacups. This customer wanted to give the jewellery pieces as a special gift to her daughter who was moving to Australia. 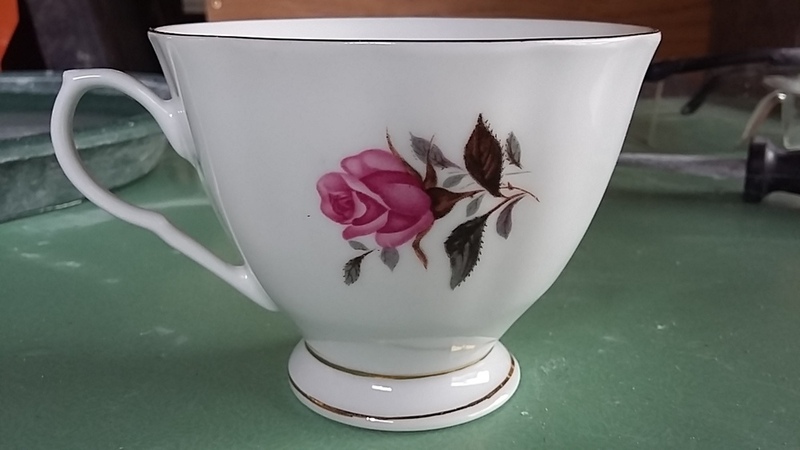 This is the original teacup with some of my markings for potential jewellery pieces! A few weeks later and these finished jewellery pieces were picked up by a very happy customer :-) What do you think? Creating jewellery pieces, cake stands, candles and lights from your own china allows you to create "new" unique pieces for yourself or for gifts.